Right outside Montelimar I also passed this huge atomic power plant at Cruas. 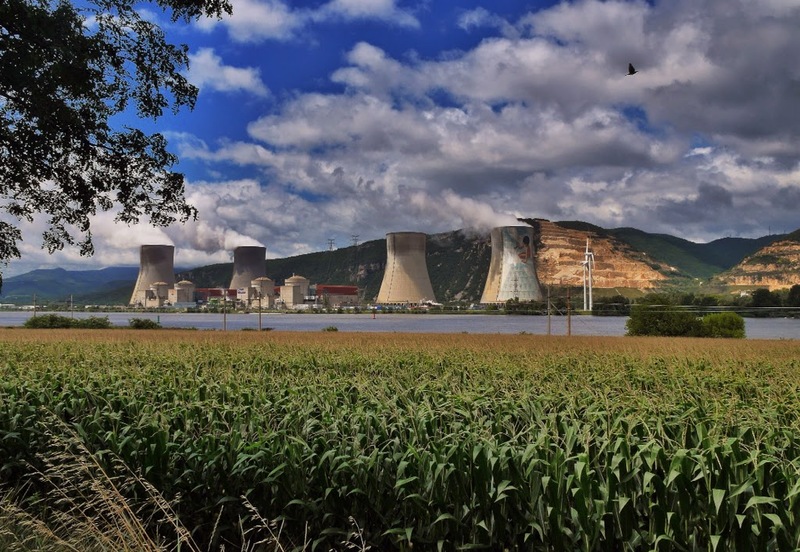 The Cruas Nuclear Power Station is a Nuclear power plant located in Cruas and Meysse communes, Ardèche next to the Rhône River in France. The site is 35km north of Tricastin Nuclear Power Center and near the town of Montélimar. The site contains 4 pressurized water reactors of 900 MW each, totaling 3600 MW total. The construction began in 1978, the reactors were built between 1983 and 1984. The power station accounts for 4 to 5% of the electric energy production in France, and 40% of the annual usage by the Rhone-Alps area. The site employs about 1,200 workers and has an area of 148 hectares. Cooling water comes from the Rhône river. 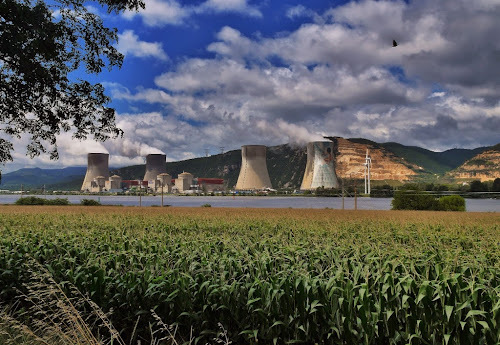 On December 5, 2011, two anti-nuclear campaigners breached the perimeter of the Cruas Plant, escaping detection for more thann 14 hours, while posting videos of their sit-in on the internet. 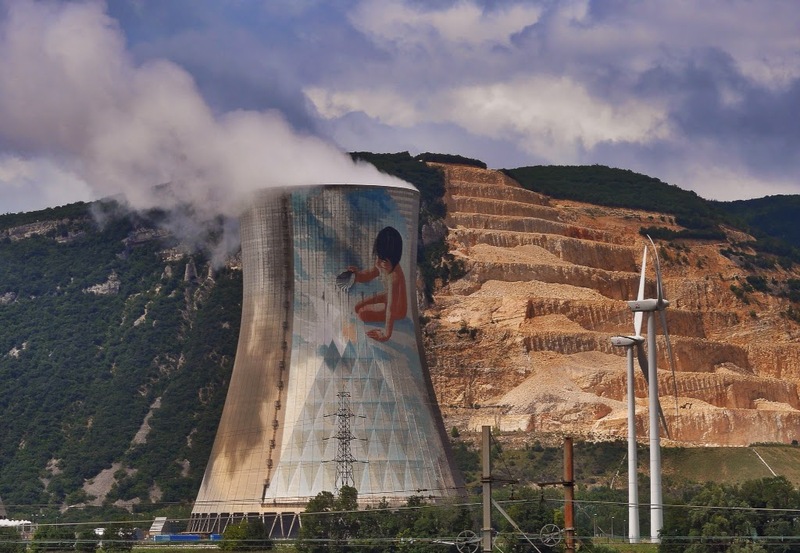 In 1991 it was decided by the owners of the plant to carry out a Mural project on the cooling towers focusing on the topic of ecology. Author of the mural on the Tignes Dam, Jean-Marie Pierret was selected to design the painting, 9 mountaineers helped to actually paint the structure. The painting reflects the basics of Water and Air and is titled Aquarius, and was inaugurated in 2005. It took 8,000 working hours and 4,000 liters of paint to complete the project.